What exactly is an intranet these days anyway? Do we still call intranets ‘intranets’? Should we? I suppose it rolls off the tongue easier than ‘collaborative communications application’. And it’s better than simply tacking the word ‘social’ to the front of the word ‘intranet’ to make it very now. Joking aside though, the very definition of an intranet is changing significantly. And there is good reason to explore ditching the term intranet altogether. Hands up if you actually had a good experience with an intranet from the 1990’s or 2000’s! Anyone? No? 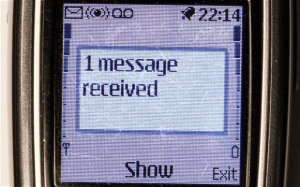 Until the convergence of mobile and social became a mass phenomenon over the last ten years, our communications were, whilst significantly improved with things like texts and email, still pretty basic. Part of the problem is that our collective experiences with intranets has been so poor over the last 20 years or so that the word ‘intranet’ has likely become tainted. It may be that the reputation of the word is beyond repair. What we came to know as the intranet was often an unloved portal of some description that employees occasionally looked at or skimmed. There was little interaction with others. There was virtually no engagement. If you were with a publicly traded company, the most dynamism you were likely to experience with your intranet was the little box in the sidebar which had a daily update of your company’s stock price. That was the intranet. This is now. Fast forward a few years. In the same way that Apple redefined the mobile phone with the launch of the iPhone less than eight years ago, social apps and new ways to connect are redefining the way we keep in touch with each other, how quickly we get updates on anything from the latest startups to launch out of the Valley to what Penelope Cruz had for dinner last night. Yeah Steve, we got it. And we still do. Less than seven years in and Apple has given us access to 1.2 billion different apps, versions of which we’ve downloaded 75 billion times². Google followed suit giving us the Android operating system which is now used on more devices than Windows, iOS and Mac OS devices combined. Like Apple, Android has 1 billion apps available with 50 billion downloads to date³. 2014 will be remembered as the year when mobile devices surpassed the installed base of PCs. The PC itself will soon be an anachronism. Similarly, overly large, periodically updated software packages have evolved – mainly as a result of the widespread use of mobile devices – to the world of billions of much smaller, much more nimble software apps that are downloaded instantly. Gone are the days when you would nip down to PC World to get the latest boxed version of some software you wanted. Couple that with significantly faster wifi speeds, around the world. Whereas watching a YouTube video might have been a clunky experience – on account of your own network speed – when YouTube first launched in 2005, today we don’t give it a second thought. And that’s on our mobile devices as we sit (or stand) idly on our commuter trains into cities and towns. Not only that, but we are sharing more content and data than ever before. The amount is so much, that it’s almost incomprehensible. A company called Domo, which specialises in data visualisation, has attempted to quantify this for us. In 2014, in every minute of every day, there are 4 million searches on Google, nearly 2.5 million items published on Facebook, over 250,000 tweets created and 72 hours of new video created and published on YouTube. Oh, and there are still 204 million emails sent⁴. In every minute. Of every single day. It is in this context in which we need to define what an intranet is. Not in the historical interpretations of those clunky corporate portals that were essentially document retrieval systems, but in terms of how the world is evolving into an “always on / always connected / always publishing / available anywhere” world. Does this mean that the original vision of early intranets is now defunct? Absolutely not. The ideals of the intranet remain true: easily collecting, distributing, and accessing information and content through a private internal network. However, what’s expected by today’s enterprise users is going to be dramatically different from what most entities and software vendors can provide. These users are much more demanding than they were 20 or even 10 years ago. They will expect strong social elements from networking to publishing to reorganising for their own productive benefit. They will expect these services and tools to be location-based. And most importantly, they will expect these tools to be very easy to use. If you want to define an intranet these days, don’t start with the word, start with the end user. Ask them how their work lives can be made more productive with social apps for the workplace. Ask them how they’d use these tools whilst on the go. Ask them how these could tools could help them achieve more. Ask them if these tools could make work easier, more fun and more valuable. Finally, ask them how these tools could be more useful for them. Once we understand these principles and design systems accordingly, we’ll have a modern interpretation of the intranet.